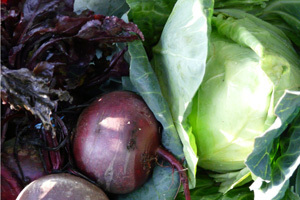 Cheltenham's farmers' market is held on the second and last Friday of each month. You will find us on the pedestrianised area of the Promenade, outside Cavendish House, where a string of stalls line the street selling a range of produce including various meats and charcuterie, fruit and vegetables, desserts, preserves and pickles, cakes, bread, cheese and plants. It is open from 9.00am to 2.00pm and provides a great opportunity to sample and buy locally grown and made produce from Gloucestershire and the Cotswolds. Market dates to December 2019 are listed below. *The markets in December will be held in front of the Long Gardens, further down the Promenade, to accommodate the ten day Christmas Market. We also bring the second market in December forward to take place before Christmas, so you have time to buy those last minute Christmas treats! The farmers' market is operated on behalf of Cheltenham Borough Council by Cotswold Markets Ltd.
(Tel: 01608 652662 Email: trade.cotswoldmarkets@gmail.com). Next page What is a farmers' market? Would you like to trade at Cheltenham farmers' market? Why does the council support the farmers' market?